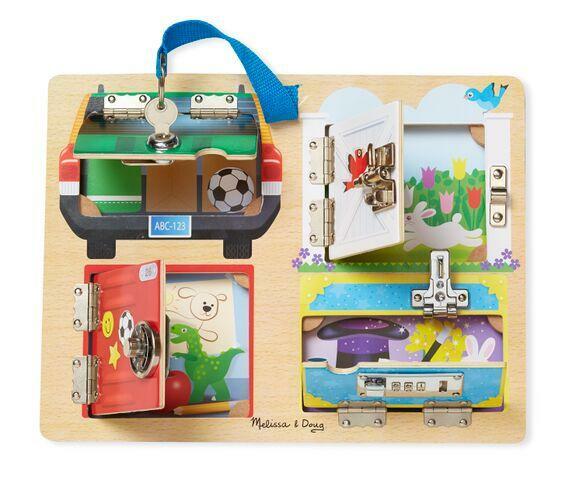 Unlock, unlatch, open the hinged panels and count on finding fun when the pictures beneath are revealed! You can seek out a specific picture, race to open and close the doors, or tell a story inspired by what you find. A great way to build fine motor skills and hand-eye coordination while learning colors, numbers, animals and more. Dimensions: L: 12" x W: 9.25" x H: 0.75"